Repairs – Metro Hydraulic Jack Co. Whether working in automotive, industrial, or railroad environments, companies across a wide range of industries depend on hydraulic pumps, motors, cylinders, and valves. In fact, hydraulic pumps offer ten times more power than electric motors at a comparable volume. Compact hydraulic tubes and flexible hoses, meanwhile, generate incredibly high power density for various applications through simple, safe operation. The team at Metro Hydraulic Jack Co. has been engineering, repairing, and maintaining parts for hydraulic jacks and equipment since 1941. Backed by three generations of experience, we understand the importance of quality repair and components. 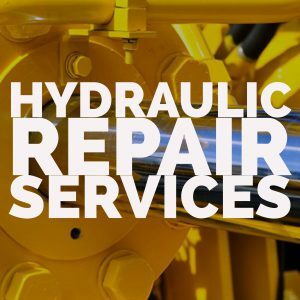 Whether dealing with custom lubrication systems or production automation, we tailor our hydraulic repair services to suit your specific needs. For custom systems, especially, comprehensive cylinder examination and diagnosis will allow for an efficient, effective repair solution – at a significantly lower cost and faster turnaround than replacement. Honing, rebuilding, resealing, and even simple hose replacement can give new life to an old hydraulic system. A standard piece of heavy equipment or hydraulic-powered machinery may have thousands of individual, sealed connection points – all of which are subject to leaks. If your hydraulic jack system is leaking, failing to produce its required output, or creating a sudden excess of noise, vibration, or heat, it could be due for a life-lengthening inspection and repair. Custom Hydraulic Repair Services at Metro Hydraulic Jack Co.
As one of the leading sales and service centers in the United States, our team offers top-of-the-line repairs, engineering, and design services at our Newark, NJ, facility. Whether you’re in need of hydraulic pump repair or cylinder repair service, our expert team is here to help. Our 20,000-square-foot facility is home to a large on-site inventory, professional sales offices, complete machine shop, and fully equipped repair shop and testing area. To learn more about our specialties in cylinder rebuilding and custom fabrication, or to discuss how our hydraulic repair services can help with your next project, reach out to the team today.